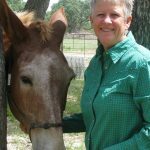 Temperament typing is a valuable tool to help you understand your horse and form a relationship with him. Once you know your horse’s temperament type you are better able to meet his needs for feeding, management and training. You may also be able to avoid health issues that can plague each of the temperament types when they become out of balance. Typing your own horse, in his normal environment is the easiest way to get the correct temperament. The time not to try and type a horse is when you have just purchased him, don’t know his history or he is in a strange, new place. Our temperament consultants all agree that it takes most horses 6 to 18 months to fully acclimate to a new home. During this time a temperament consultant may not be able to accurately type a horse but the consultant can help you manage your horse through his transition. For instance, a newly purchased horse, who is adapting to new feed and hay, may experience digestive issues. An upset stomach can make him feel irritable and anxious. A temperament consultant will be able to offer a program to support digestion. A horse moving to a new home may also be grieving the loss of his friends at his previous home. He has to find his place in his new herd and make new friends. He also has to learn to trust his new person. This is a perfect time to have the assistance of a temperament consultant to help you build a strong bond. Even if it takes some time to identify a horse’s true temperament, the horse knows you are wanting to understand him and this means so much. A horse in a new environment is also missing his old routine. This is especially important to the Metal and Metal horse combos. Your habits and training methods may be totally new and confusing. Your temperament consultant can help you set up a new routine that is suiting to your horse and will provide him with some stability. Getting a new horse is fun and exciting. You want to take the opportunity to get to know your new horse and help him learn to trust you. Don’t worry about typing him at this point but do start to study his habits and needs. Work with a temperament consultant who can help you recognize behaviors that are coming from stress rather than temperament. The day will come when your horse will step up and say “this is who I am and thank you for letting me be me”. Then you have a friend and partner for life. Are you looking to improve your knowledge of equine nutrition or using homeopathy with horses? Or do you know someone who could benefit from this type of knowledge? If so, check out the Mentoring Program offered by Madalyn Ward, DVM. 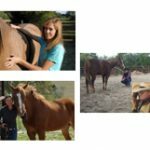 This is an intense one-on-one program that focuses on what you want and need to supplement the skills and knowledge you already have about holistic horse care. Don’t have the time right now to commit to a program like this? You can still benefit from Dr. Ward’s expertise by getting a consult. And if more in depth knowledge of horse temperament typing is more to your liking, we have an online course. This entry was posted in Uncategorized on January 15, 2019 by Madalyn Ward, DVM.